The Wall Street Journal recently reported that about 10 percent of “major securities filings this year used the term adjusted Ebitda,” among them household names such as AT&T and Wendy’s. In other words, those companies adjusted “earnings before interest, taxes, depreciation and amortization,” to exclude the effects of abnormal items. Are Ebitda adjustments problematic? Not if they make it easier to assess profitability and project future earnings. The fun begins if companies are actually adjusting earnings to, as they say, put lipstick on a pig. Using Bloomberg data, I compared Ebitda and adjusted Ebitda as reported by the 1,000 largest U.S. companies by market capitalization for each of the last five fiscal years. I excluded companies for which information was unavailable for any period, which reduced the sample size to 736 companies. 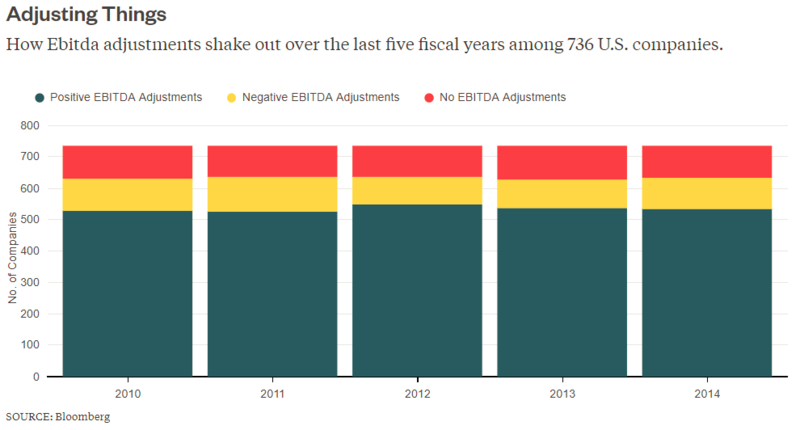 In each of the last five fiscal years, roughly 85 percent of companies in the sample reported adjustments to Ebitda. 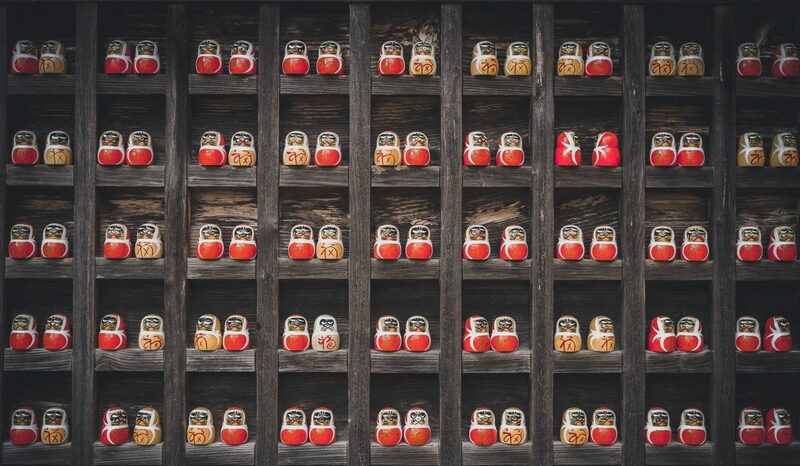 It’s unfathomable that every year 85 percent of companies are faced with a corporate event that can be construed as “abnormal” (at least according to generally accepted accounting principles, or GAAP). Even more worrisome is the fact that, of that same population of companies adjusting their earnings, roughly 85 percent had positive adjustments. That strikes me as a wildly high percentage of abnormal items to conveniently break in favor of higher reported earnings (bear in mind that abnormal items can result in gains that, if excluded from earnings, would result in lower reported earnings). Unsurprisingly, the net result in all five fiscal years is that the aggregate adjustments for the group as a whole resulted in higher reported Ebitda. To be sure, a large portion of these adjustments may be insignificant. When viewed in the aggregate across all 736 companies, adjusted Ebitda exceeded Ebitda by 10 percent or more in only one of the five fiscal years (when the difference, to be exact, was 10.5 percent). 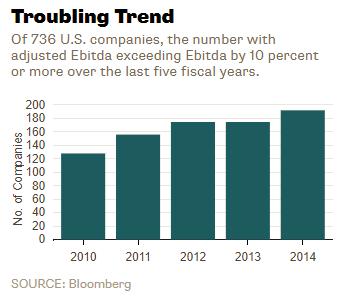 But there is a troubling trend hidden in the aggregate Ebitda adjustments. The number of individual companies with adjusted Ebitda exceeding Ebitda by 10 percent or more grew during the five year period from 128 to 192, which represents 25 percent of all companies in the sample. Either the number of abnormal events is on the rise, or the definition of abnormal is widening. I worry that it’s the latter, and that abnormal is increasingly the new normal. Whether or not the new normal is a problem today, it’s inescapable that the trend cannot continue without eating away at the confidence in reported earnings that GAAP is meant to provide — and investors and the market will be worse off if the issue remains unexplored.